Pengyou 朋友日 is a day for us to stand together as one community to build the next generation of US-China Leadership and continuing to foster long term understanding and mutual agreement between US and China. Join us at the library for games, food, culture, and fun! Play Chinese chess, test your calligraphy, eat Chinese snacks, and learn about the different Chinese organizations around campus. 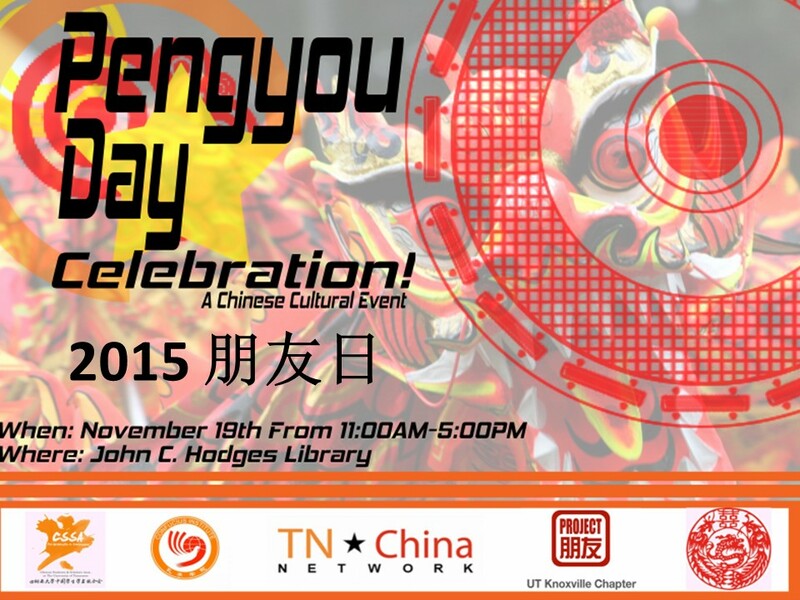 Meet representatives from the UTK Chinese Culture Club, Chinese Students and Scholars Association, Confucius Institute, Project Pengyou, and TN China Network. Learn about the resources each organization has to offer like CCC cooking nights, CSSA student resources, CI holiday festivals, and TNCN internship opportunities!